The Loire River is one of the most important rivers in France. Over the course of its 650 miles, the Loire River Valley is the longest winegrowing region in the world. The river begins in the mountains of the Ardeche in south-central France, before flowing gently north and then west, flowing out to the Atlantic Ocean on the western coast of France. Many of France’s Kings had built chateaux’s along the river earning it the nickname of the Royal valley. In fact, at one point, the Loire Valley was the seat of Royal power in France. 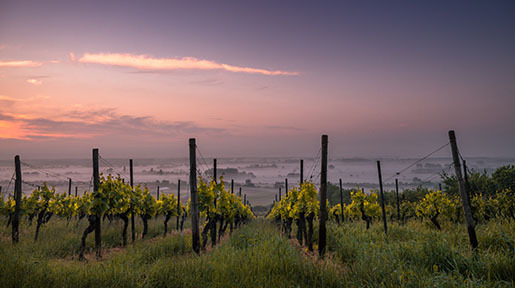 The Loire Valley is also the home to some of France’s most distinctive wines. In wine terms, the Loire Valley is concerned with the flow of the Loire River after it heads west from the center of France, until its outflow into the Atlantic. At the western end of the valley, close to where the river flows into the Atlantic Ocean is the city of Nantes, home to the area that produces a wonderful wine known as Muscadet. 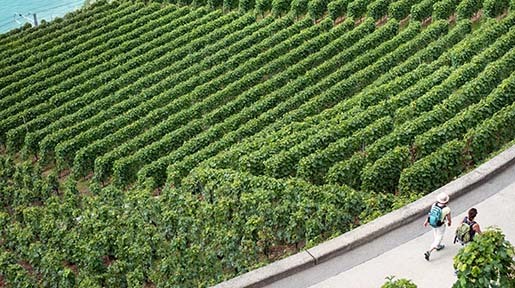 The vineyards around Nantes are moderated by the warm Gulf Stream waters of the Atlantic. The wine appellation gets as close as ten kilometers to the Ocean in the commune of Saint-Père-en-Retz. The far eastern end on the area is Saint-Florent-le-Vieil which is about 110 kilometers inland. The soil is made up of Granite with Gneiss. The area was a prehistoric seabed which has left many of those deposits in the soil. 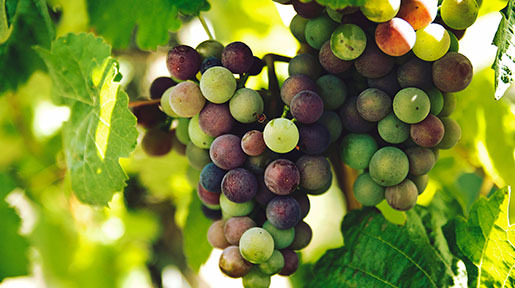 Although grapes have been made into wine here since the Roman Emperor Probus’ edict in the latter half of the third century, most of the wines were thin and acidic reds. The killing frost of 1709 wiped out many of the red grape vines in the area. The Dutch, who were major customers of the vineyards, suggested planting Melon De Bourgogne as both a base for their distilled brandies and as a white varietal which could survive cold winters. The grape was, as the name suggests, from Burgundy (although today it is not used anywhere in France). The wine made from these grapes was called Muscadet apparently coming from the French expression vin qui a un goût musqué, meaning a wine with a musk-like taste. I am not sure I would agree, but there it is. During the French Revolution, most of the areas growers took the unfortunate position of siding with the Royals and the Church in an effort to retain control of their property. The resulting turmoil presented problems for the area until stability could be restored. Although the wines have never met with huge public acceptance outside of the Loire Valley, there was a brief period of international interest in the latter half of the twentieth century before Muscadet faded into the background of the Chardonnay boom. There are four designated Appelation d'Origine Controlee (AOC) areas of France which produce Muscadet. This is a rare exception to AOC naming conventions as Muscadet is neither named after a grape or a place. The largest is the general AOC known only as Muscadet which was established in 1937. I have had some nice wines carrying this generic designation such as Amphibolite by Joseph Landrone. These are, however, hard to find and do not represent the best this region has to offer. AOC Muscadet Coteaux de la Loire was established in 1936. This sub-region covers 189 hectares and my favorite is Domaine Guindon. Muscadet Cotes de Grandieu is the newest AOC having been designated as such in 1994. It covers 290 hectares near Lake Granieu. The very best wines of the region, however, are from the AOC Muscadet Sevre et Maine. This AOC was established in 1936. The area is near the Sevre and Maine rivers and the best wines come from the hillside vineyards near St. Fiarce or Vellet. Eighty percent of all Muscadet produced carries this designation which covers over 8200 hectares. Muscadets often contain the words Sur Lie on the label. Sur Lie is a very old method of making wine traditional to this area. After the wine is fermented, the dead yeast cells sink to the bottom of the vat where they are allowed to stay at least until the following spring. In most white wines, the wine is removed from its vessel; a process called racking, and put into “clean” vats or barrels. The Muscadet Sur Lie wine, however, sits on these dead yeast cells which give it a bit more fullness and roundness. At some point, no earlier than March 1st of the next year, the wines are bottled straight from those same vats. The French refer to this waiting as faire ses pâques which means the wine must do its Easter. The Sur Lie wines often have a smidgen of trapped carbon dioxide which gives them a bit of spritz called perlant in French. This provides a freshness and protects the wines from becoming oxidized. Wines labeled Sur Lie must be bottled in the cellar where they were made. Almost one hundred million bottles of Muscadet are produced annually. Muscadet wines are always vinified dry. Historically, there were some late harvest wines made which contained some residual sweetness but those are no longer made. Many critics will tell you that Muscadet wines are nice, easy to drink, bone dry white wines which should be consumed in their first couple of years. That is true, at the lower levels of quality. 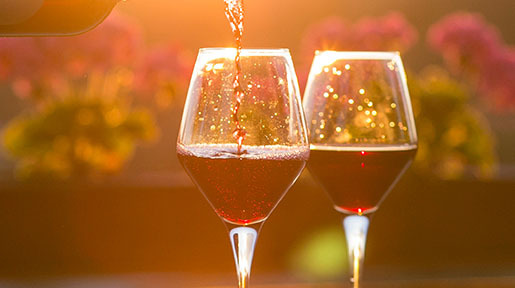 In the hands of the better producers, these are thrilling wines that exhibit steely and crushed sea shell flavors with just enough fruit (usually grapefruit or lemon) and a hint of sea salt to make them perfect to sip alone or with food. They can also become amazing with age. At ten years, from a good vintage and good producer, these wines remind me of an aged white Burgundy. One of the better features of a Muscadet is its price. Most basic bottling can be had for under $20 and many for under $10. My only exception was as at a tourist restaurant called Atmosphere in old town Nice (where I paid 18 Euros for a bottle of the 2005 La Talandiere), most Muscadets provide great value for the money. Even that wine proved to be nice if not outstanding for the money. In my opinion, there are two producers whose wines are the best. The first of these is Domaine de la Pépière where the wines are made by Marc Ollivier. The basic Muscadet Sever et Maine can be found for around $12 and is a steal at that price. Ollivier lets the wine stay in contact with the Lees until late May. This gives the wines an added dimension of both accessibility and complexity. Even better, for just a few dollars more, is the Clos des Briords Muscadet Sevre et Maine Sur Lie. Made from grape vines planted in the 1930’s, these wines are complex and capable of ageing for easily a decade and maybe two or three decades in a good vintage. How many white wines can you name that cost under $20 and can say that? They also make a “luxury” Muscadet Sevre et Maine called Granite de Clisson. This wine is more expensive, usually around $25. It is so concentrated, yet fat, that the wine really needs a few years in the cellar just to come around. It should age effortlessly for two decades at least. The other great and I do mean great, Muscadet producer is Domaine Luneau-Papin also known as Domaine de la Grange. It is run by Pierre and Monique Luneau-Papin, eighth generation owners of this estate founded in the early 1700’s. They make a basic Muscadet Sevre et Maine under the Domaine de la Grange label that sells for around $12. It is delicious and drinks well on release but should cellar nicely for a decade. For a dollar or two more, the Clos des Allies is one of my favorites (it also has one of my favorite labels, a shiny metallic green). It is a classic Muscadet but the complexity is amazing. A bit less structured is the Clos du Poyet which is made from 55 year old vines. For around $15, the L d’Or bottling is much fatter with great fruit and minerals. This wine needs a couple of years in the cellar and then will age for a long time. I recently had the 1996 version and if served blind, would have guessed it to be an older white Burgundy. Finally, Luneau-Papin makes a high end version called Excelsior. This sells for around $26 and is comparable to the Pepiere Granite de Clisson. I am not sure, but I believe both wines see some time in oak barrels which give them a fuller profile. I made the mistake of drinking the 2002 on release and came away unimpressed. Recent tastings have led me to believe that this will be a fantastic wine with around five to ten years of ageing. Despite the fact that I love these two producers, I continue to buy others as well. When a wine can be found for under $20, it’s easier to stock up on. Domaine de l’Ecu makes a Muscadet Sevre et Maine called Expression de Gneiss. It carries the Demeter certification (the official biodynamic endorsement) and is an excellent wine available for around $15. Some other producers I have enjoyed include the Bregeon Muscadet Sevre et Maine, Domaine Guindon Muscadet Coteaux de la Loire, Chateau de Noe Muscadet Sevre et Maine, and Chateau Thebaud’s de la Fruitiere Muscadet Sevre et Maine. All of these wines are available for less than $20 and some much closer to $10. The Loire has traditionally been a cooler climate, but the Muscadet region’s climate is tempered by maritime breezes which I believe makes it more consistent. The Loire has had a string of good and very good vintages and Muscadet usually does as well or better than the rest of the region. It may be useful to look at our Loire Valley, France - Wine Vintage Chart. Right now, the 2005’s and the 2002’s (if you can find them) are the best options for cellaring. The 2003’s may be getting a bit old in the tooth with some exceptions as that was a super hot year and the wines are a bit atypical. The few 2007’s I have had, have been delightful. Muscadet wine is an excellent match with lighter foods. They are a classic match to oysters or other seafood. The crushed sea shell elements provide a nice mineral and salt component while the light citrusy elements work great. With some age, the wines develop more body so they would certainly work with salads, but also chicken or pork. Every time I open a bottle for friends, they are impressed. When I tell them the cost, they are baffled that such great wines are not only inexpensive but that nobody talks about them. Perhaps I shouldn’t either as the price may rise. But they are so good, I can’t help myself. I hope you all go out and buy a few bottles. I would love to hear what you think. On the eastern end of the Loire Valley in France sit the two communes of Sancerre and Pouilly Fumé where arguably the best Sauvignon Blanc in the world is produced. For many, this is the true home for this grape. While new world producers in California, New Zealand and elsewhere are creating excellent fruit laden Sauvignon Blanc’s, the producers in the Loire Valley excel in complex mineral driven versions of Sauvignon Blanc. Among all of the regions of the Loire utilizing this grape, the reputations of Sancerre and Pouilly Fumé are the best.